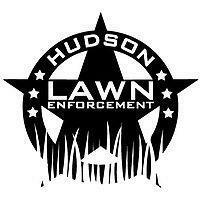 Employer: Any Employer Hudson Lawn Enforcement John J. Smith, Jr. Esq. Trinity Episcopal/Windmill Alliance Inc.
We are looking for a few employees for this upcoming season. If you know someone that is interested please have them send us a DM here,https://www.facebook.com/lawnenforcement425/ or text message to 201-LAWN-911. The season is April - November and employees can easily do 30-40hours per week. Starting pay based on experience. Driver's license is a plus. Solo Practitioner seeks Legal Assistant/ Paralegal in busy Bayonne office. Applicants must have experience in Personal injury litigation, Real Estate closings, Worker compensation, and Estate administration. Applicant must be able to work independently, be organized and be able to run Law office on a daily basis. Excellent computer skills and E-Court filing experience necessary. Please send resume to Smithlawstaff@gmail.com.